QR codes now mean that school yearbooks no longer need to be mere static pages. Yearbooks can be dynamic and interactive capsules that capture the entire story of the school year. Yearbook Unlimited is here to help yearbook staffs take advantage of this opportunity to expand the coverage in their annual publications and add excitement and yet another dimension to a well-loved tradition. By including QR codes in their yearbooks, yearbook staffs can give their readers videos, photo galleries, audio, and more, all straight from the pages of the yearbook. 1) Can you be sure the content properly displays on the devices that access it? iPhone, Android, Windows Phone 7, Mac, Windows… how can you be sure your content will display properly on ALL of these devices? On top of that, how can you be sure that a person with a weak signal and a person with a strong signal are both able to enjoy your content? Just because you throw something up on the web and create a link to it with a QR code does not mean it will necessarily work for all of your yearbook’s readers. That’s where our expertise comes in. Yearbook Unlimited has the ability to take your content and process it for delivery to multiple devices. We also have the ability to deliver that content to devices with full wi-fi connections as well as to those with much weaker cell signals. 2) Will the content be accessible well into the future? The other hurdle yearbook advisers must leap is the issue of permanence. Yearbook advisers have a problem that most publishers of QR codes don’t have to face: yearbooks are intended to last a lifetime (and longer). If you throw a video on your website today, who’s going to assure that your content will be valid 10, 20, 50 years from now? Remember the QR code is just like a link on a webpage. If the path to your content changes or if the place the content is stored shuts off the lights, your code will no longer work. It is our commitment at Yearbook Unlimited to maintain all of your codes in perpetuity. We have the ability to keep all your content valid well into the future. 3)Have other questions or concerns? We may have already addressed them. Check out our FAQ section next. Simply put, a QR code is the printed equivalent of a link on a webpage. By scanning a code with an autofocusing camera on your phone or computer with the appropriate free software or app, the code will reveal whatever it is linked to. It could be a video, slide show, audio track, webpage, text, or more. It’s a digital shortcut to additional information. Of course, today, the cameras on most phones work as QR readers as well. We will assist you right away. It varies, depending on how many codes you need. Today, we provide everything from single, individual codes to a packages of 5, 10, 20 or more as you need them. This price guarantees maintenance of codes from previous years as well as providing new codes for the coming year. Schools choosing to end a subscription will incur no further costs. How large/small do I have to print the codes? we take that into consideration in the creation of the code, providing you with codes that can be printed as small as 1 inch square; however, we recommend allotting space for a 2 inch square just to be safe. How do I get the codes? Upon receipt of payment, Yearbook Unlimited will provide all of your codes for the coming year so that you might place them in your book long before creating the content to which it will be associated. This will give you the peace of mind in knowing that you will be able to have your codes to place on your pages without having to have the content already prepared. Can I do this on my own without using your service? Absolutely. In fact, will be happy to provide you advice if you choose to undertake that task, but before you head down that road, you need to know that it’s not as easy as it looks. Really what we provide is excellent customer service based around our experience and expertise. We are here to make it easy for you to create a more dynamic and interactive Yearbook without having to understand how to process content and deliver it efficiently to multiple devices with various connection speeds. There is more involved than posting a video on some website and generating a code. On top of that, while we hope you stay in the yearbook business a long time, who will be around to assure that the content you created today will be viable decades from now. You? Our job is to make it easy for you to complete the job today and be able to walk away sometime in the future secure with the knowledge that your creation will last a lifetime. Most importantly, with our service your content is secure. Students will not “discover” it before your book ships. Most staffs don’t reveal the cover or pages prior to the book’s unveiling. With Yearbook Unlimited, you can rest assured your content will not be stumbled upon ahead of time, spoiling your unveiling. When do you need the content? We will accept and begin processing content at any point at which you upload it to our servers; however, the deadline to receive all content is 3 weeks before you want the code to become active. This will give us time to process the content for delivery, post it, and make it available for proofing. You will be able to test all of your codes prior to your yearbook being distributed so you can be confident all is ready to go. How do I get the content to you? There are many ways to get content to us. Traditional methods of delivery, such as cd/dvd, flash drives, etc., can be mailed to us; however, we have found that using Dropbox to be the simplest approach. That way, all you have to do is drop a file into the right folder on your computer and make sure that computer has an internet connection to sync with the same folder on our computer. It is really that simple. What types of content can I send you? The bottom line is you can send us any content that is a completed file. We will make sure that it works. Whatever file type you provide for your audio, video, images… whatever; if it works for you, it will work for us. We do request, however, that the content be a complete file that works as you expect it to and that you have tested and confirmed yourself on two computers. What if I don’t have a video camera? Video adds an exciting dimension to the experience, but our experience has shown us that you don’t need the latest, greatest camcorder to include video. A FLIP camera or even cell phone cameras can do the job. Ultimately, your students just want to see and be able to remember not only the special events, but even other seemingly mundane moments from their past. Your videos do not have to be glamorous Hollywood productions. Whatever tool you use to provide them a glimpse into the past, in the end, your students will enjoy and appreciate. Ultimately, you do not need video to make your yearbook more exciting, especially when you likely have a wealth of photos most people never get to see. It is easy enough to turn your photos into slideshows. So, don’t feel limited by this. Do you edit the video? That is not an option we offer at this time. Will you turn our photos into a slide show? Absolutely, we are happy to do this for you. This is not included in your subscription price and incurs an additional charge, of course. In addition, your images must be provided to us at least six weeks ahead of your code activation date, but it is a task we are happy to help you with. For complete details, contact us at info@yearbookunlimited.com. What about music? Are there any copyright issues? Music truly adds to the video and slideshow experience. There are copyright laws to protect the artists which must be honored. It is the responsibility of the school to secure the proper rights to all protected content they choose to use, as is outlined in the customer agreement signed by the school when their subscription with Yearbook Unlimited was formalized. Yearbook Unlimited assumes all content the school chooses to publish meets the requirements of the law. One alternative to copyrighted music that really makes a lot of sense is to request school and/or student bands provide their own music. Using student-created music really rounds out the experience in a way that is unique to your school. Is this a lot of work for me and my staff? Not at all. You are in charge from the beginning. You will know from the day you finalize your ladder what content you will want to include to enrich your yearbook. We will provide you with your QR codes shortly after your subscription with Yearbook Unlimited is established. At that point, adding them to your corresponding pages is no different than adding any other image. As for the content, it has been our experience that creating videos and slideshows is something that students really seem to enjoy. It is only as demanding as you make it. Have fun with it and find out for yourself how much it adds to your yearbook. Can I use QR codes to get spring sports and other events into the yearbook? Not only spring sports — how about graduation, even! As long as you plan accordingly — and we encourage you to plan your placements as you create your ladder — you can include anything you want in your yearbook. The beauty of our system is that you don’t have to have the content created and waiting somewhere online before your codes are created! We can direct each code to its destination at a later time, enabling us to provide you with your codes from the beginning. Now, if you want it in your book, you can have it. Can these codes be used for advertisers/senior ads? Your codes can be used for whatever you want. We do have schools who have used them to help sell more ads, absolutely. Imagine telling your advertisers that not only will their ad be in the book, but that it can be interactive, sending your readers to their websites or to a video about their company. Also, think about parent ads: now, you parents can include video, audio, or additional photos in their ads. 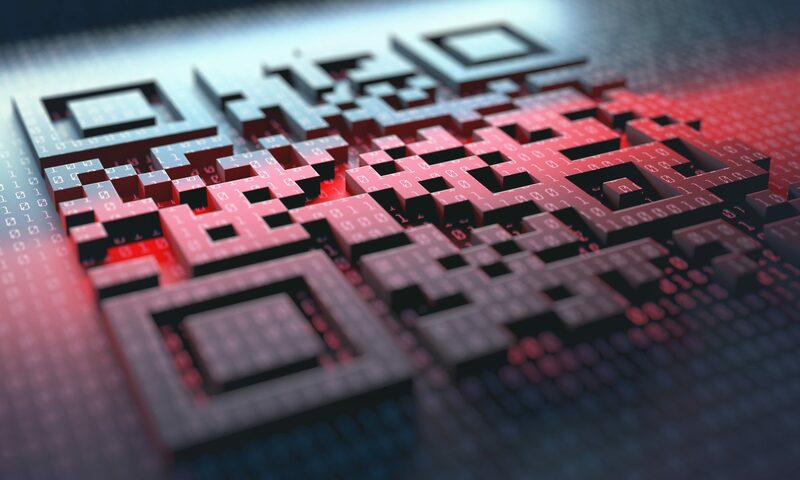 The only limit to how you can leverage the power of QR codes is your imagination. We’re here to help you make it possible. Cutting edge yearbook staffs have used codes to broaden the impact of advertising, broaden content and coverage, and engage their readers like never before.